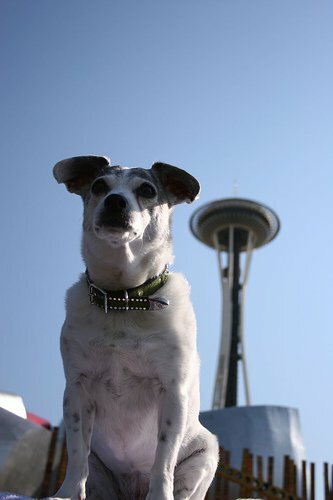 ← PAWS Walk Seattle 2012!!! I love doing fun things with my dog and I don’t just mean going to the park. I like taking her to brunch with me (she prefers cafés over dive-bars), to the bookstore, Sephora, etc. To be clear I’m not trying to drag her to stuff she doesn’t like to do. For instance, I’m not all up at AMC begging to take her to the movies or anything. However, she seems to like supplementing her garden digging, ball fetching, and mud puddle rolling with things that are typically not considered ‘doggie’ activities. That’s why I’ve created Bark of Seattle. It gives me a good push to take the time to find unique dog activites to do and a way to share the fun and support great dog related ideas and causes. Check back for…. Look forward to meeting my fellow dog nuts!! !